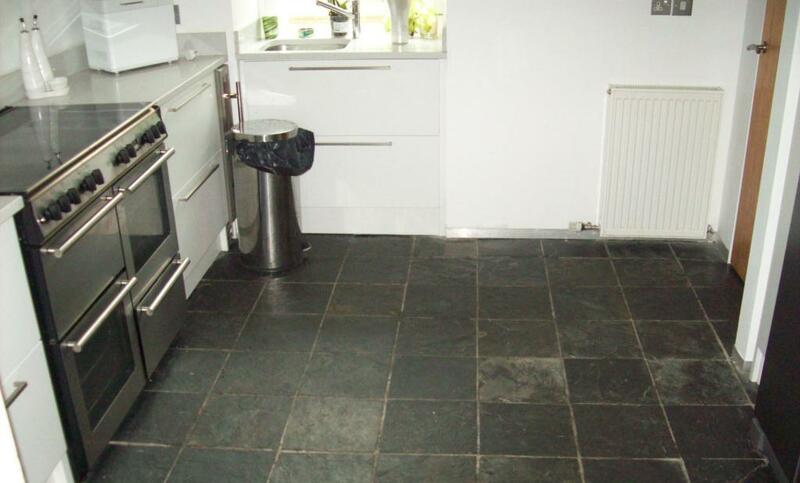 The photographs below are from the Kitchen of a house in Glasgow with a Slate tiled floor fitted. 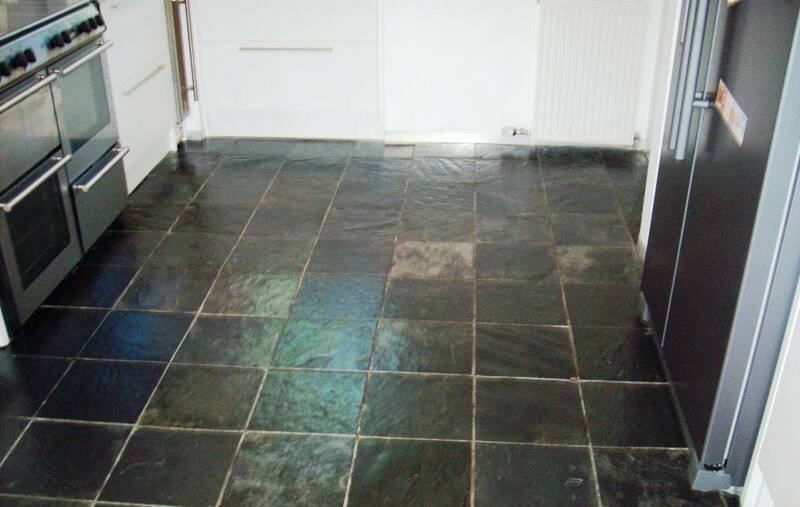 The sealer on the slate has started to go and if you look closely at the photographs you can see how tired and dull the tiles are looking; this is a common problem with natural stone floors where you will find the sealer wears down and dirt starts to penetrate into the tile making it difficult to clean effectively. The first job with any clean and seal work of this nature is to protect the kitchen units by removing the kick boards and then to remove any sealers and coating from the tile so when you re-seal you’re not trapping in dirt or layering on top of another potentially incompatible sealer. The original sealer had almost worn off so a strong dilution of Tile Doctor Pro-Clean mixed 50/50 with NanoTech Ultra Clean was applied and left to soak into the floor for about 20 minutes. Pro-Clean is a multi-purpose cleaning product that will strip a sealer off the floor if weakly diluted whereas the NanoTech Ultra Clean adds tiny abrasive particles into the mixture increasing the cleaning power of the solution. This was worked into the slate and grout using a buffing machine fitted with a black scrubbing pad until I was satisfied the floor had been stripped and cleaned of all surface coatings and dirt. All the dirty water was extracted with a wet vacuum and the floor neutralised with more water to ensure no chemicals remained on the floor prior to sealing. 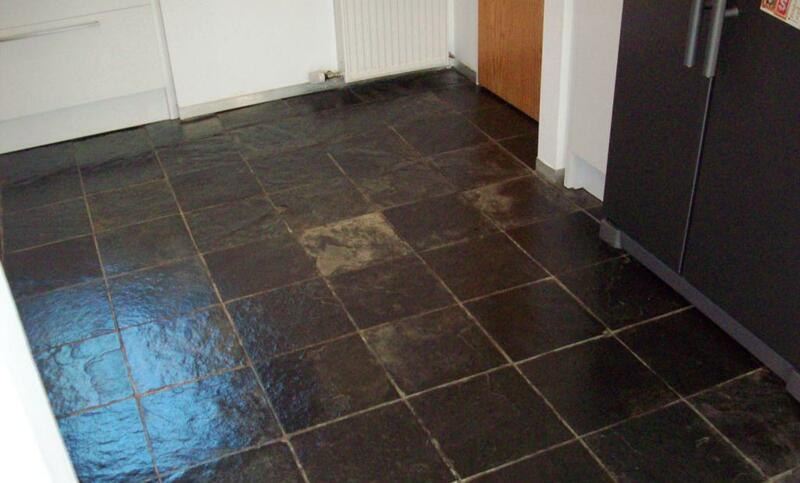 The floor was left to dry and we came back two days later to re-seal the tile for which we used five coats of Tile Doctor Seal and Go which is a great sealer for Slate tiled floors as it leaves a low sheen finish whilst providing excellent stain protection. I should mention that Seal and Go is also a water based sealer so it doesn’t leave a smell whilst it’s drying. Overall I was quite pleased with the floor although there were some stubborn grout stains that proved to be tough to shift. I thought I should just add that I am impressed with the efficiency and professionalism of Thomas, who is a very sound operator. I was very happy with the effort the guys put into the job. 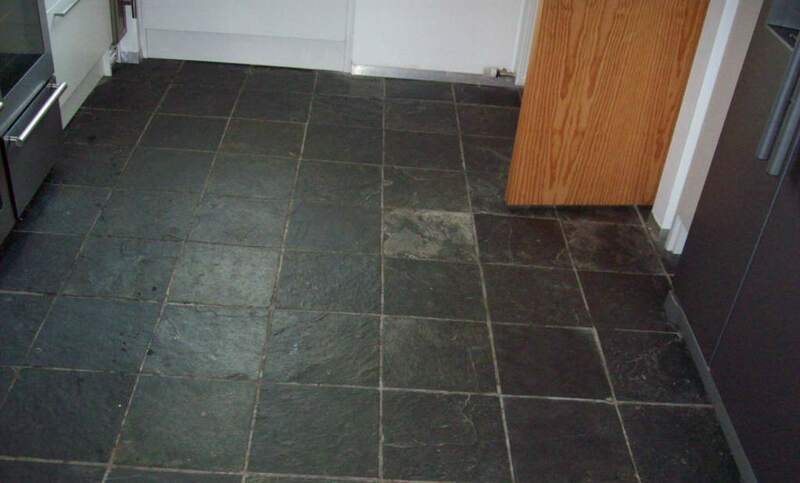 There is still some white staining but they tried very hard to remove it and the slate floor does look a lot better. They seemed to really care about doing a good job. 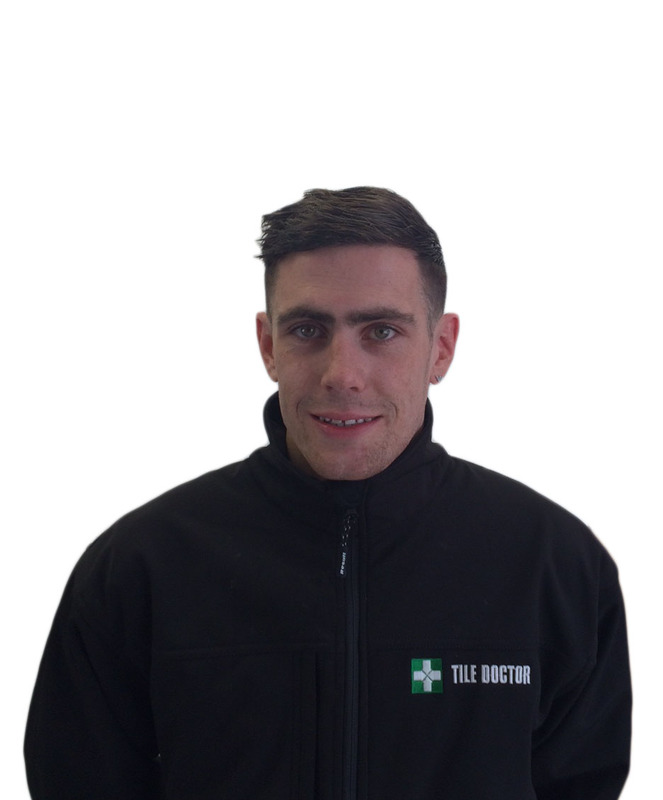 They were very professional, turned up on time and I felt comfortable having them in the house. Steven also answered all my email queries in advance of the job promptly and with useful information. Amazing service. Enquiry was made, got a call 20 mins later, He was in the area that day so came to carry out work. very pleased with result and would highly recommend.